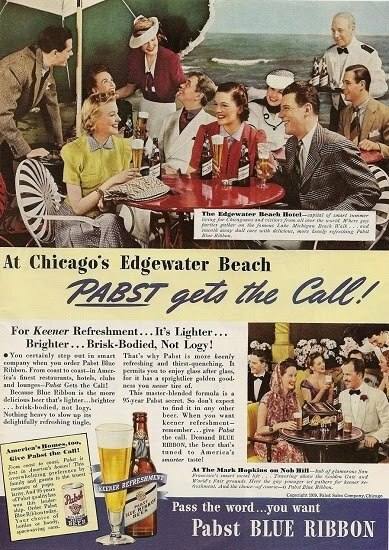 Edgewater Beach and PBR – what a pair! Reviewed by Edgeville Buzz on May 5, 2010 . Check out this advertisement for PBR (click the image to enlarge it) – apparently the Blue Ribbon winning beer was a preferred beverage at the Edgewater Beach Hotel. Edgewater Beach and PBR – what a pair!